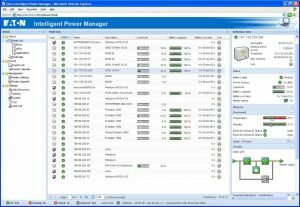 Eaton Intelligent Power Manager (IPM) software provides the tools needed to monitor and manage power devices in your physical or virtual environment. This innovative software solution ensures system uptime and data integrity by allowing you to remotely monitor, manage and control UPSs and other devices on your network. IPM provides a solution that is easy to use and maintains business continuity. IPM simplifies power management across the network through a single, web-based interface, giving you up-to-the-minute information on the status of power in your network. IPM provides additional management capability for HPE OneView and Cisco UCS environments. Integration with VMware vRealize Operations Manager and vCenter dashboard lets you manage power to your virtualized environment. Additionally, IPM works seamlessly with several virtualization platforms, such as Citrix® XenServer, Microsoft SCOM, OpenStack, Red Hat® and other Linux open source platforms. 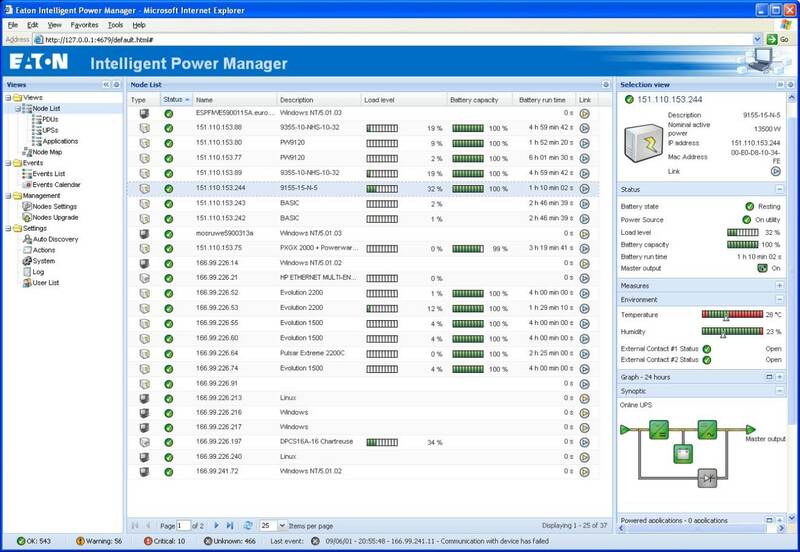 Eaton Intelligent Power Manager offers three versions—a basic edition, silver license and gold license. The gold license—our premium offering—provides the most complete set of capabilities including the ability to monitor and manage third-party power devices in addition to Eaton equipment.